Death by Grammar: An enlightening experience at the IELTS fair. I found out & realized early in my teaching profession that I should not only be perceptive of my student's needs, a teacher should also be well-rounded. Knowing how to put variation in your class time keeps the student interested and excited to learn. Especially with online teaching where you do not have the physical ability to make the student comply with class rules. It really takes a lot of effort. That is why I make every attempt to be more studious and open-minded to new things. Old and new techniques, combined together make a good teaching method. You can improvise and improve your tried and proven teaching strategies. I emphasized on my introduction that English is not my native language, even though I've been immersed in the western culture very early in life, my skill in English speaking & comprehension was practiced considerably. Meeting foreign nationals also gained me the confidence when it comes to intercommunication. Of course this doesn't mean that I have perfected my skill in the English language. Just to get this out of the way, let me be the source of my own shame and admit that laziness is one of my bad traits. There are times when I am confronted with new words, idioms, slang or any part of speech like the grammatical term third person and etc. I get myself confused and just let it slide and "hope for the best." Haha! When I learned that the IELTS British Council here in Manila was launching a fair for FREE, I didn't blink and encoded my details in the invitation. I figured, even though I do not have enough formal education when it comes to teaching, at least I can learn and absorb more & new knowledge also strategies at no cost. And because I'm a sucker for freebies! The goal was to pick people's brains & learn from second-hand experiences. Keeping myself up-to-date for my students. I am just simply always elated & delighted to share my knowledge to anyone who's interested to learn. At the event, my insecurities was wiped off and I learned that I haven't really missed on a lot at all. While I didn't exactly finished my course in college, it does not define my ability to learn and teach or convert my learning into applied skills. Being surrounded by learned people made me realize that I haven't really tapped into my potential because I've been fearful all these time. I let my insecurities dictate my steps. When I use to feel like I'm not going to see a positive outcome about something, I reject myself first so nobody can do it. No heartaches, right? Dead wrong. Instead of fearing rejection, make it a tool to help you gauge the ground you're standing on to make improvements or changes. I am now more determined to challenge to break myself and see what I'm capable of accomplishing, even-though I still feel the pain of rejection, I still challenge myself until I achieve my goal. 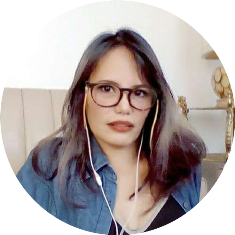 I realized that I have not been paying attention in school because I have been learning IELTS in the past and with my BPO & call center trainings. The IELTS Pretest includes listening, reading, writing & speaking training and assessment. It's just like Foundations Training with Eperformax! Anyway, I just can't hide my excitement in anticipation of my pretest scores. They're actually only raw scores because it's a free opportunity given to participants at the fair. I know I made a lot of mistakes but it's alright because the goal is to find out where I need to improve to make adjustments. After that, I will know what to do next.